Took this pic this afternoon at the Union Square Farmer's Market in NYC. 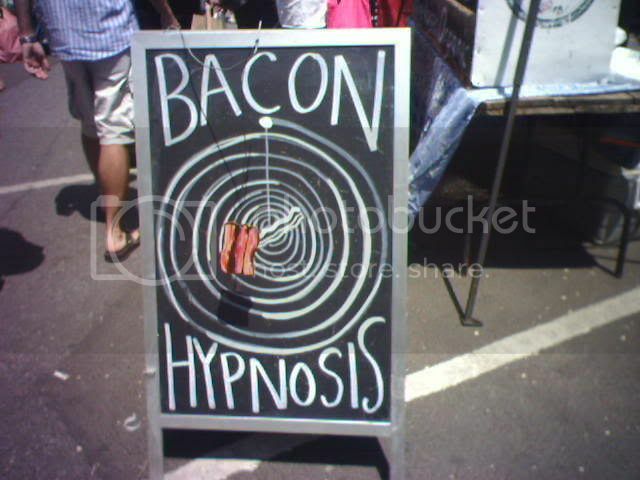 They promised to hypnotize me with their extra special bacon for sale but alas I had to run back to my baconless cubicle. Was William Shakespeare, in fact, Bacon?